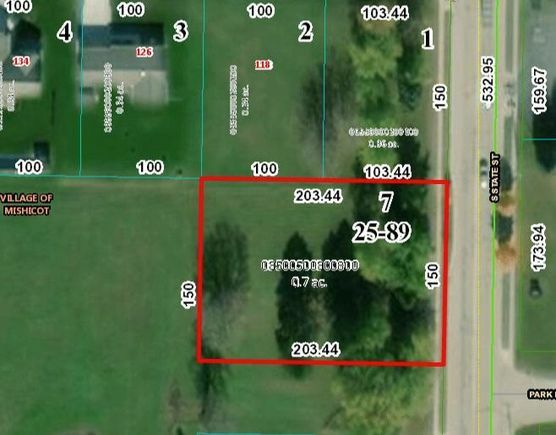 Beautiful parcel of land located off South State Street near Fox Hills Golf Course in Mishicot. This partially wooded parcel is .7 acres, twice the size of surrounding residential lots. Could be perfect home for your new business or potentially rezoned for your new home. Property is located on the west side of South State Street in Mishicot between North Park Lane and West Church Street and across from the vet clinic. The details on S STATE STREET: This land located in Mishicot, WI 54228 is currently for sale for $37,000. S STATE STREET is a – square foot land with – beds and – baths that has been on Estately for 289 days. This land is in the attendance area of Mishicot High School, Mishicot Middle School, and Schultz Elementary School.